Based on the children’s tale set to music by Russian composer, Sergei Prokofiev, Peter and the Wolf delighted with humor, excitement, infectious energy and happiness. Professional and youth musicians performed during the educational introduction called Meet the Musicians, featuring adorable PreBallet students. 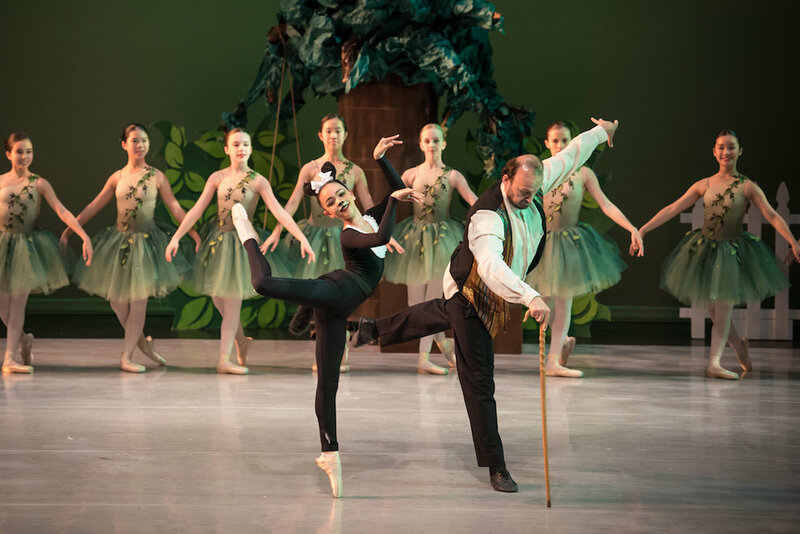 During Act II, advanced EBA students performed Les Sylphides, the plotless and timeless reverie with choreography by Michel Fokin. Pianist Judy Huehn brought Frédéric Chopin’s music beautifully to life.